Well, I started my ranked placements this week, and boy, has that ever been an EXPERIENCE so far. Needless to say, they’re going pretty badly. I’m 2/5, and the 5 that I lost were just slaughter-fests. There was nothing close about them. And from those games I can tell you that ALL THE BRONZE STEREOTYPES ARE TRUE. Not about everyone, obviously, but enough people. Tilted AF. The saddest of all is when people tilt themselves, the typed equivalent of bashing their own heads against a wall repeatedly. In those moments I wish I could say something that would comfort them and remind them that their worth does not come from a game. That said though, a lot of times people are so busy criticizing themselves that they are actually too busy to criticize others. In my most recent terrible ranked game, I randomly just started attacking Baron while my team was walking past it because I thought we were doing it and NO ONE EVEN NOTICED OR SAID ANYTHING. I almost died for literally no reason and they were just like “this is fine”. Props to them, honestly. I deserved to be called out for that one. So why am I sucking harder than usual?? Part of the problem is that I’m playing Soraka for every match (unless I am forced to do otherwise, which hasn’t happened yet), and as I’ve noted, she is no longer my best champion. Regardless, though, I still feel like she is the best measurement of my true skill, so I’m stubbornly sticking with it. Another reason for it is that it turns out that ranked placements don’t work the way I thought they did. I’m not sure exactly what I thought before, because I didn’t give it much thought at all, but in hindsight I guess I assumed that it would either use your rank from last year (if you have one) or your Normal MMR to determine your starting point during placements. Therefore, I would be matched with other players who had never done ranked before or were bronze last year, and tect would be matched with other players who were platinum last year. I already watched tect do his placements, and that seemed to be the case, or at least close enough. For me, though, not so much. In my very first game there were players who were silver or gold last year, and I was like…what?? How?? It was then that it was explained to me that everyone starts at silver during their placements. The game doesn’t take any data into consideration like I originally assumed. It is then supposed to adjust to place you with higher or lower ranked players as you go in order to get you to as close to a 50% win rate as possible. This is a lovely idea in theory, and like I said it seemed to work for tect. But clearly it is not working for me. The system has so far failed to match me with players closer to my skill level. It’s possible that those players just don’t exist – maybe people who are still as new as I am just don’t play ranked. But it seems like the majority of gamers have egos the size of the sun so I kind of doubt that. A better explanation could be that no one is STARTING ranked at this time (because why would they with only l month left of the season) and so therefore everyone who would have been close to my skill level has had time to climb already. But that also doesn’t make that much sense because obviously many people remain in Bronze. I love Riot and I believe that they are always doing their best but I also believe that they can do better, and this is something that needs to be addressed. Is the system they have now the worst? No, but my experience is clear proof that it needs work. Unless I somehow win my last 3 in a row. My suggestion is for them to do their best to base matchups on either your current or previous ranked MMR, or if that data is unavailable such as in my case, your current Normals MMR. That’s not perfect either, of course, but I think it would be an improvement. In addition, it should make a better effort to adjust as you go. An argument that I’ve heard is that 10 games IS the adjustment period, but in my opinion that’s too long. You only have one shot at placements per year. Sure, you can keep playing after that and climb, if you have time, but it would be a lot easier and more fair to you and others in your games if the system makes a better effort to truly place you where you belong. This is not to say that I belong anywhere other than bronze 5. Honestly, even if the system did work the way I thought it did, I would probably still end up there. But at least the process would be a lot more painless than it has been so far. But we’ll just have to see how things turn out next week! In the meantime, though, I just want to address something that’s come up within the League of Love community a little bit over the last week, which is the idea of disagreement. Disagreeing with someone doesn’t mean you dislike them, and if someone disagrees with you that doesn’t mean they dislike you. Common sense, right? I know, it sounds basic when you say it out loud, but it’s not always the easiest thing to internalize. It can hurt when someone disagrees with you, especially if the thing you’re disagreeing over is something you hold close to your heart. But if we want to treat everyone with respect, we must push through that initial twinge of hurt in order to move on with our relationships with one another and have productive discussions. This means not immediately going on the defensive, and it also means not trying to convince the other person to believe what you do. Over the past few days, and while streaming in general, I’ve had my opinions invalidated more times than I can count because there’s this idea that if someone’s been playing for longer than you, then they must be right. Well, no, not really. If I have the facts wrong, feel free to correct me. But most of the time, I understand the situation just fine, I just have a different perspective on it. And that’s okay! By expressing my opinion – as I am naturally going to on my own blog or stream – I am merely doing just that, expressing it. It’s not meant to convince anyone to suddenly change their mind on an issue. You can express your opinions too. Let’s just try to leave it at that and not invalidate each other’s experiences. The exception to this is if your opinion is by its very nature offensive or invalidating to someone else’s identity, whether it be their race, gender, sexual orientation, culture, religion, etc. Because in that case it’s not really an opinion, it’s prejudice. I’d hope that could go without saying, but you know. Just in case. 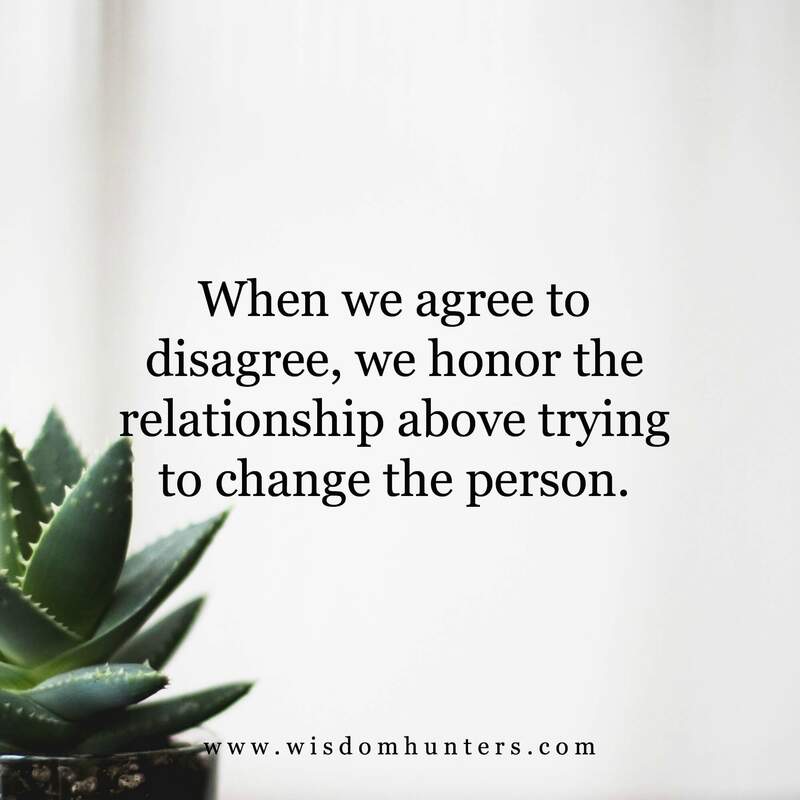 I know it can be hard to get along with someone when you disagree, but it’s possible. I have virtually nothing in common with any of my friends or my boyfriend. Over time, we’ve created memories together and have things in common because of that now, but we didn’t in the beginning. And while I’ve made an effort to take an interest in some of their interests and hobbies, they rarely do the same for me. I wish that was different, but I’m not going to force the issue. Taylor Swift is my favourite artist and her music holds a lot of meaning for me, but none of my friends or my partner like Taylor Swift. While I will correct them if they say something false about her and tell them why I like her, I’m not going to try to convince them to like her music. Anyway, next week I’ll talk more about ranked and do a roundup of some of the free champions I’ve tried but for now I’m going to leave this one here. Just so you know, we are NOT streaming on Wednesday October 11th because it’s my 25th birthday! 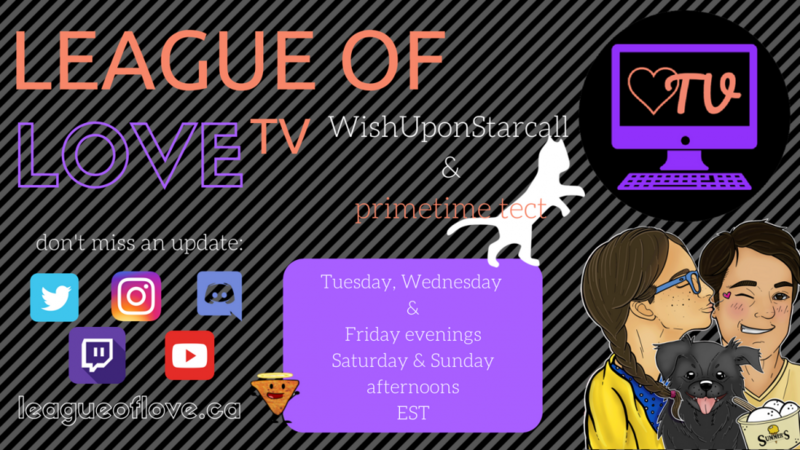 Instead, though, we ARE streaming on Tuesday October 10th from 9pm-1am EST. We’ll have a special birthday celebration at midnight and I’ll also be doing my final ranked placement that evening. If you want to help me celebrate my birthday, I have a special request for you. I didn’t know this until recently, but my birthday is actually the International Day of the Girl and has been since 2011 (a result of a campaign led by a Canadian non-profit, albeit one that I find extremely annoying thanks to their affinity for bugging people on the street). So my request is simple – do something on October 11th, or any time between now and then, to support women. How vague! I honestly don’t care what it is – do something nice for a woman in your life (your partner, a friend, your mom, your sister, your aunt, your boss) or yourself if you identify as a woman (treat yo self! ), tell a woman in your life why you appreciate them, donate to a cause that supports women, buy a product that is made by women or supports women in some way, volunteer for a charity that supports women, etc. etc. Then tell me about it – if you’re able to make it to the midnight celebration on Tuesday, that would be great, or if not just leave a comment on the blog or tag us on social media or something. Pictures also welcome! P.S. Suggestions for what to do during the birthday celebration welcome! Well all stereotypeas come from somewhere. And bronze players sadly tilt alot because they don’t have enough game awarness to properly evaluate whether or not they did something good or bad in the moment. Also what do you mean when you say that only playing Soraka is the true way evaluate how far you have come? Shouldn’t your ability to be able to play more champions to suit the situation be a better testament to how far you have come? Auto spacing is to attack when the opponent goes to last hit a minion. You see, when you auto attack your champion cannot move during the auto attack cast time. There is also a delay until you can attack again. Say you have 1 auto attack every second, that means you have 1 second where you cannit hit back so when auto spacing you can hit the opponent and then retreat. Congrats you just damaged the enemy without taking any damage. “But this is only good for adc” you might think. That is not entirely true. As a support you have many more opportunities to harrass the opponent adc by doing this. Remember that early on you all have roughly the same base damage. This is also applicable with skill shoots. Just use your ability when the oppnent can’t retaliate. Ever wondered why you are taking so much damage? Why the opponwnt ia hitting every last ability? The answer is auto spacing and it is a very under utilised skill at lower eloa. Also forgot to mention; here’s a good strategy to use early on. Push the first wave pretty hard, but not so hard it crashes into the opponent tower. Let’s say you have taken 5 out of the six minions. The opponent has taken 3. Your wave consists of 0 minions. Opponents wave consists of 3 minions. You now have until the next wave arrives to just punish the opponent as hard as you can. The opponent can then either let you do that or he can trade back and lose cs and gold. Aww…unfortunately it seems like Bronze seems quite the same as the last time I was in it…most of them do tilt often because they often can’t figure out how to make safer decisions when they are behind which is unfortunate.